Preheat oven to 220°C (425°F). Place the eggs and extra yolks in the bowl of an electric mixer and whisk for 5 minutes or until thick and pale. Add the dulce de leche and whisk until just combined. Add the cocoa and gently fold to combine. 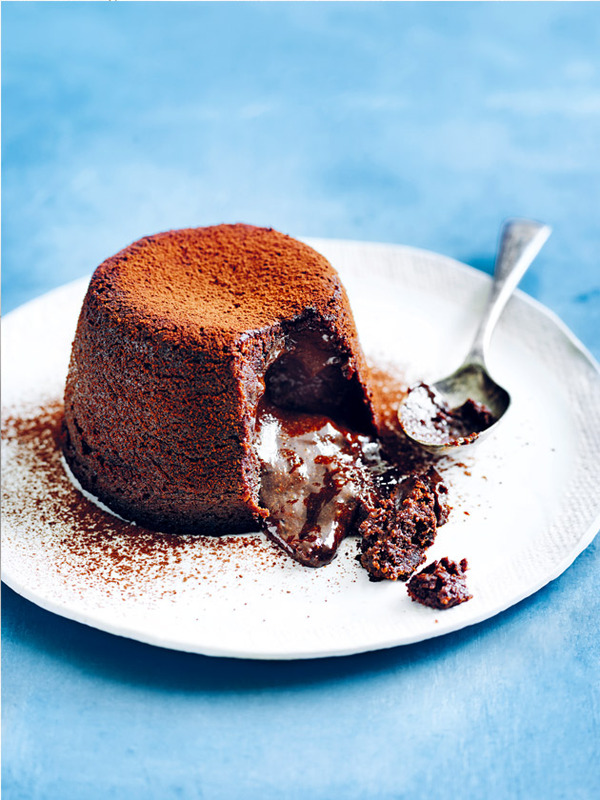 Lightly grease 4 x 1-cup-capacity (250ml) metal dariole (pudding) moulds and place on an oven tray. Divide the mixture between the moulds and bake for 12 minutes or until set on top but still slightly soft in the middle. Allow to stand for 1 minute.